Enjoy the below itinerary and dive into the many restaurants that are sure to leave you craving more. Visit here for a full listing of local restaurants. 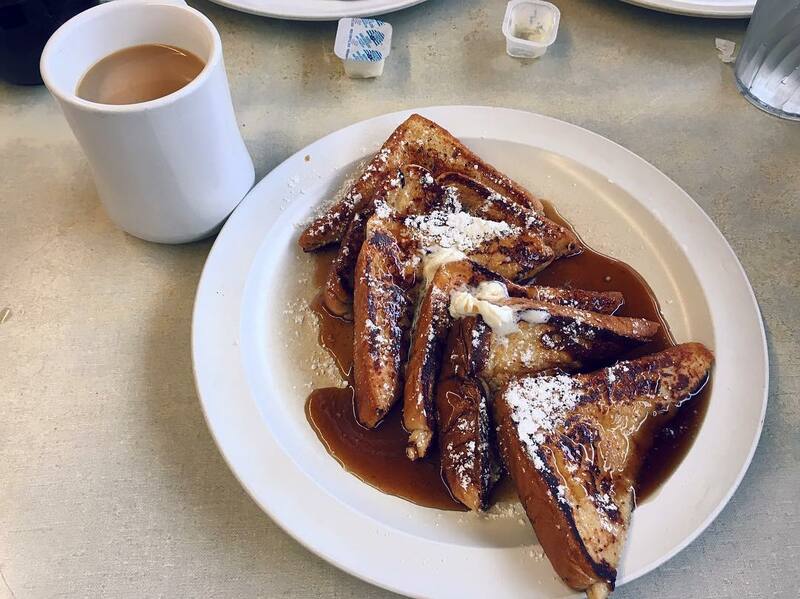 Jackson County’s oldest restaurant, The Coffee Shop, is a historic nostalgic, diner-style restaurant with a welcoming feel. Conveniently located on West Main Street, The Coffee Shop offers home-cooked meals for less than $10. This local staple opened in 1926, and its menu hasn’t changed much since. Homemade pies, specialty breakfast options, such as popular gypsy and philly steak omelets, biscuits and gravy and burgers are all popular items on the menu. At any given time, you’ll find locals stopping in, and they boast that no matter how many years go by, The Coffee Shop is like a step back in time. City Lights Cafe, also featuring the adjacent bookstore, has a rich history in town. The cafe provides “quick, tasty and healthy” fare, and unique decadent menu items to satisfy any palate. Many of their ingredients and menu items are locally-sourced and organically-produced. The restaurant has a 22-seat, dog-friendly outdoor patio, and has rotating events, such as Open Mic night and local art shows. Grab a book from upstairs, and settle in to enjoy. If you’re looking to grab and go, White Moon Café is perfect. With coffees, lattes, cappuccinos, teas and more, along with a café-style food menu, White Moon will provide a convenient, yet still delicious caffeine boost. Looking to go off the beaten path, not only for hikes, but also for bites? Soul Infusion Tea House & Bistro is a unique tea house that serves tasty soups, salads, wraps and sandwiches along with their wide variety of loose-leaf organic premium teas. If you come on the right day, you may also enjoy some great live music. For a quirkier dining experience, stop in Mad Batter Food & Film to enjoy a slice of pizza and a movie. Mad Batter offers creative comfort food with a side of a free feature every Thursday, Friday & Saturday in their theater. At this local stop, you can eat, drink and catch a flick all for an affordable price. Check their website for the monthly movie selections. If you stay in a rental home, step outside of the restaurant scene and pick up your own ingredients for a home-cooked culinary experience like the locals of the county. Use your local catch from the day and locally produced foods and goods from the Farmer’s Markets located both in Cashiers and Sylva. Looking for some local NC BBQ? Well, we have the place for you…. 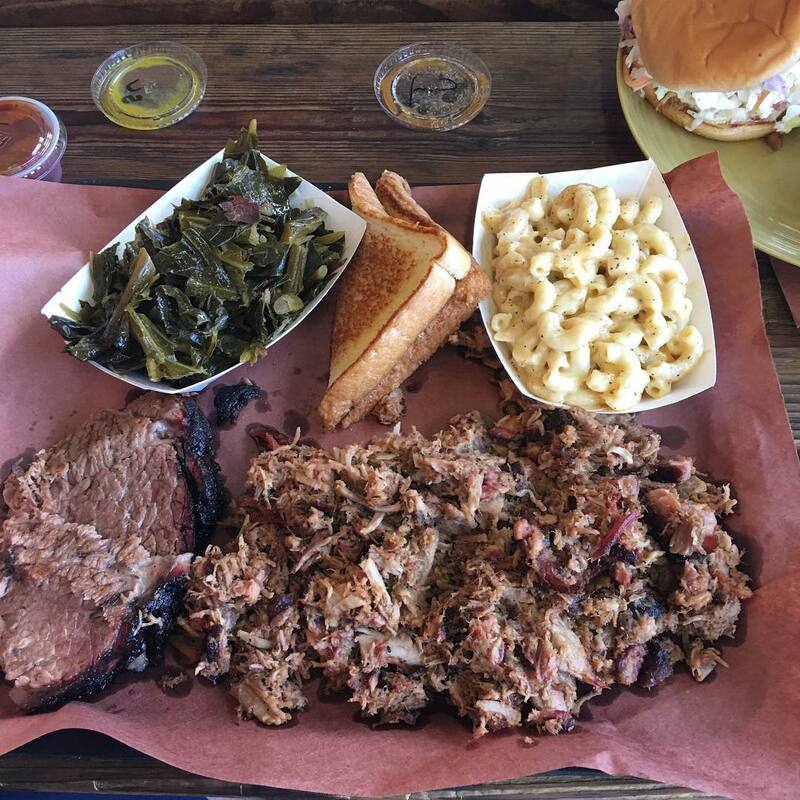 A favorite amongst locals, Haywood Smokehouse is known for the best brisket, ribs and other specialty meats in the area. Their sides and homemade pies will give you something to write home about. Diners can even take a bottle of one of their uniquely flavored homemade sauces back with them to savor the flavors a little longer. Head over to Boots Steakhouse for what the locals consider to be the best steak in town. The menu is filled with tasty dishes including, of course steak, and other grilled dishes. You are in the south after all, so might as well take advantage of the southern soul food that comes along with it! There are plenty of restaurants in the area that will satisfy your hunger for soul…food that is! The Well House is a little sandwich shop hidden in the heart of Dillsboro that offers fantastic soups, salads and sandwiches all other days of the week. Locals recommend grabbing a Smoked Turkey Sandwich, Triple Treat Sandwich, or their most popular sandwich the Rueben. Looking for some worldly flavors? The popular farm-to-table, tropical fusion restaurant, Guadalupe Café, is a must-try for foodies in the Sylva area! Sit down, relax and enjoy the ambiance and live music. The menu is full of innovative and flavorful delights and includes a wide variety of delectable Caribbean-flavored zesty meals, salads like The Cowgirl, which features bacon and lime crema, and hearty tapas treats for the whole table to enjoy! Menu items are endless and choices include: Red Curry Shrimp, Blackened Plantains, Peanut Chicken and Mango Pork Tacos. Lulu’s on Main has an edgy, retro atmosphere tied together with local art displayed on the wall. Chef Devin McCardle’s French culinary training influences the menu, which features a range of vegetarian, vegan and gluten-free items to suit special diets, in addition to certified hormone-free, humanely-raised proteins and fresh North Carolina seafood. Beer lovers will be surprised to find that, even in this small-town restaurant, the chef can expertly pair beer dinners with Jackson County’s local Innovation Brewing beers. With a fusion of cuisines featuring sustainably-raised, locally sourced, farm-to-table ingredients, Dillsboro’s newest addition, Foragers Canteen, is quickly becoming a local favorite. 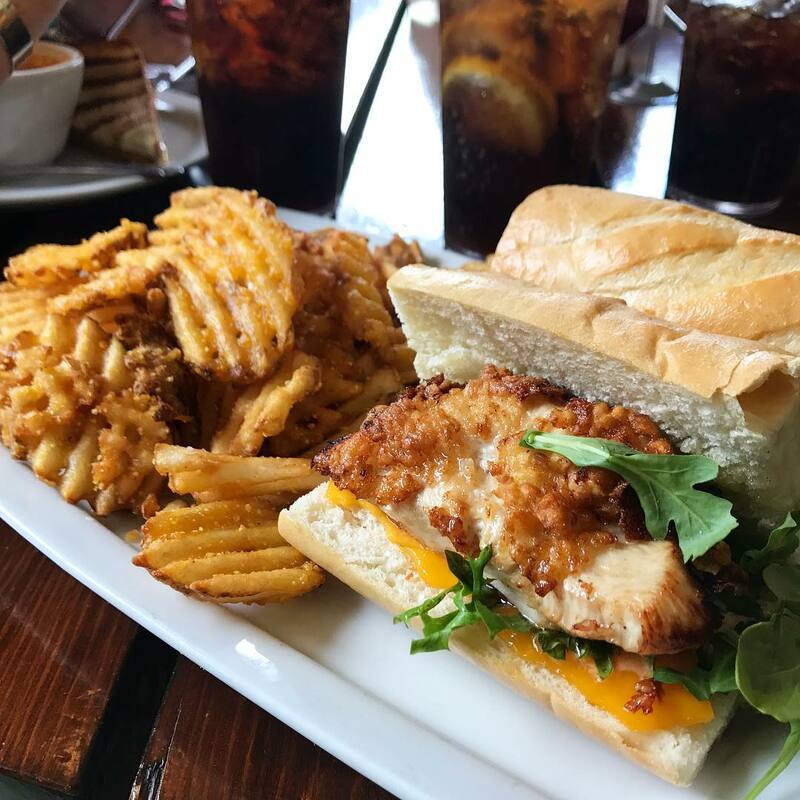 Located in an old train depot and next to Dillsboro’s new brewery, Innovation Station, Foragers is the perfect place to grab a high-quality bite in a low-key environment. When making the difficult decision of what to order, make sure to not miss out on trying “A Toast to Bacon.” This local favorite includes eight strips of bacon served two ways (candied and peppered) and is served with house-made beer cheese and seasonal preserves. After dinner, head next door to enjoy an after-dinner brew on the large patio at Innovation Station. Make your whole visit a cheat day, and stop by these sweet spots to enjoy some delightful treats. The sweetest handmade goods in Sylva and Dillsboro are the chocolates at two family-owned and operated shops, Dillsboro Chocolate Factory and Baxley’s Handmade Chocolates. Both shops focus on high-quality ingredients and always have sweet surprises, like bacon bark or key lime white chocolate truffles. Looking for something to cool you down? 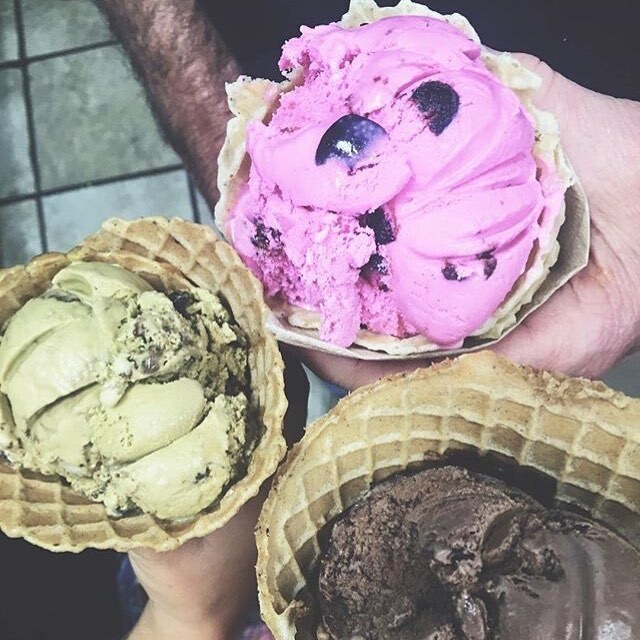 Head over to Jack the Dipper Ice Cream Parlor for old fashioned, hand-dipped ice cream with made-to-order waffle cones, banana splits and other classic favorites, such as shakes and malts. Sylva’s downtown is home to a thriving craft beer scene, which consists of two innovative and local breweries. Innovation Brewing lives up to its name with creative offerings infused with seasonal flavors. The brewery also keeps eight staple beers on tap throughout the year. Looking for some grub while you chug? Innovation has its own food truck, Cosmic Carry-out, that sits right outside the brewery seven days a week. Beer lovers will be able to savor even more Innovation creations when a second location dedicated to sour beers opens soon with an additional tasting room. Head down the street to Balsam Falls Brewing Co., the newest brewery to town features six beers on tap with a rotating selection of more than 10 IPAs, pale ales and sours. The husband and wife team pride themselves on using local ingredients to develop unique tastes and flavors for visitors. 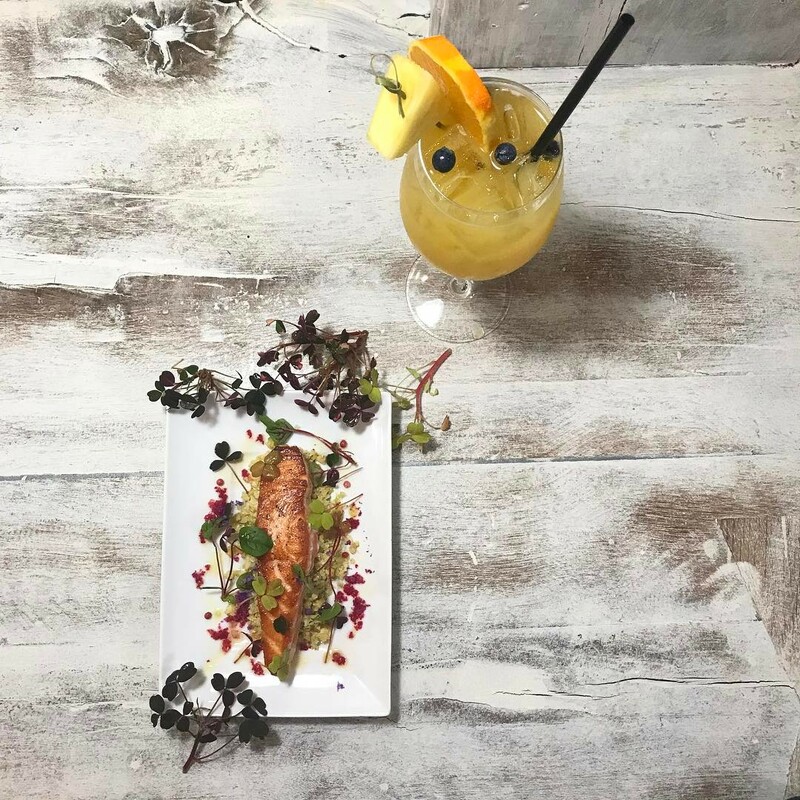 For some creative cocktails, head over to the The Cut Cocktail Lounge, or The Paper Mill Lounge and Theatre in Sylva and sample their creative libations, which include fresh and local ingredients with a fun and festive atmosphere. Known as the new kid on the block, but quickly rising on the ranks of locals, is the not-to-be-missed BBQ joint Adair Bros Smokehouse, serving modern Southern BBQ with a twist. Here, diners will enjoy dishes, such as Smoked BBQ Fries, The Smokehouse Ripper Dawg and the rib plate all for a reasonable price. Known as a local favorite for years and years, Cornucopia is consistently named as one of the best porches in Cashiers. Cornucopia is a casual spot to stop for lunch, or visitors can stop by for the more formal Sunday brunch or dinner. Cornucopia, like the name suggests, features a variety of dishes, tempting to any palate. Locals can’t get enough of the Arabian Club, the Black Bean Burger, or the Chicken Mandarin Salad for lunch. At dinner, try an entrée with some local flair, like smoked trout from Sunburst Farms or Southern-fried Farms chicken. While considered a “local pub,” locals to Cashiers would argue that The Ugly Dog Public House is so much more! With the delicious food options, extensive cocktail list and live music on select days of the month, this pub will have you revisiting again and again. Of course, in any town there is a favorite local Mexican restaurant, and in Cashiers’ case, this restaurant is Chile Loco. Chile Loco serves authentic Mexican cuisine, and has a tequila and cerveza bar. You will need your stretchy pants for this stop. Flip & Whip Comfort Foods is a food truck in Glenville and serves up delicious comfort foods on the lakefront for breakfast and lunch. Famous for their donuts, burgers and cookies, Flip & Whip is worth the stop. Enjoy artisan, hand-tossed pizzas at Slab Town Pizza. 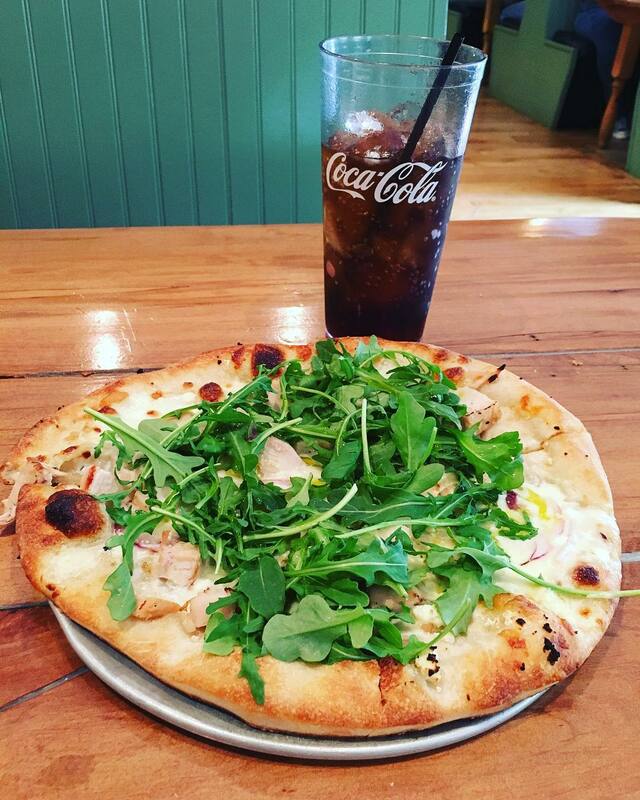 Their self-proclaimed, “obsessive devotion” to studying the best techniques and freshest high-quality ingredients all contribute to this local pizza restaurant’s popularity. During the cooler months, grab a seat outside on the covered patio and enjoy the roaring fireplace. Cashiers’ newest addition, Whiteside Brewing Co., not only offers “mountain life in a glass,” with seven brews on tap, but also on a plate. Whiteside offers a delectable selection of appetizers, soups, salads, sandwiches, burgers and entrees that Executive Chef Andy Ellis worked hard to create to complement the beer. Guests can choose to enjoy their meal and beer in the beautiful new custom-built brewery, or outside under the large covered pavilion. Randevu is known as “the place to meet in Cashiers.” Its bright red exterior welcomes you into the casual and relaxed space. The bistro-type menu features omelets, waffles and eggs benedict for breakfast, burgers and sandwiches for lunch, and an array of specialty dishes for dinner. Owner Chris McDonald comes from a long line of bakers and chefs, and adds his 30 years of restaurant experience to Randevu. The menu pleases any palate—with bone-in ribeye steaks and lobster tails appealing to the rich appetites, and Gulf red snapper, chicken piccata or black bean burger wraps for a lighter option. The Orchard is set in a 100-year-old farmhouse, with a dining ambiance reflecting rustic elegance with mountain charm, and features several historical artifacts on display. In warmer temperatures, dine outside on the porch or patio for a view of the apple orchard, lawn and gardens. From trout almandine to bacon-wrapped filet and lamb chops flambeau, The Orchard’s extensive menu touches on American cuisine with Southern flavor. Pair any dish with a bottle from the cellar, which heavily focuses on New World and California wine regions. The Library Kitchen and Bar, located just inside Sapphire Valley Country Club, offers both an artistic vibe not only in the food, but in the eclectic décor. 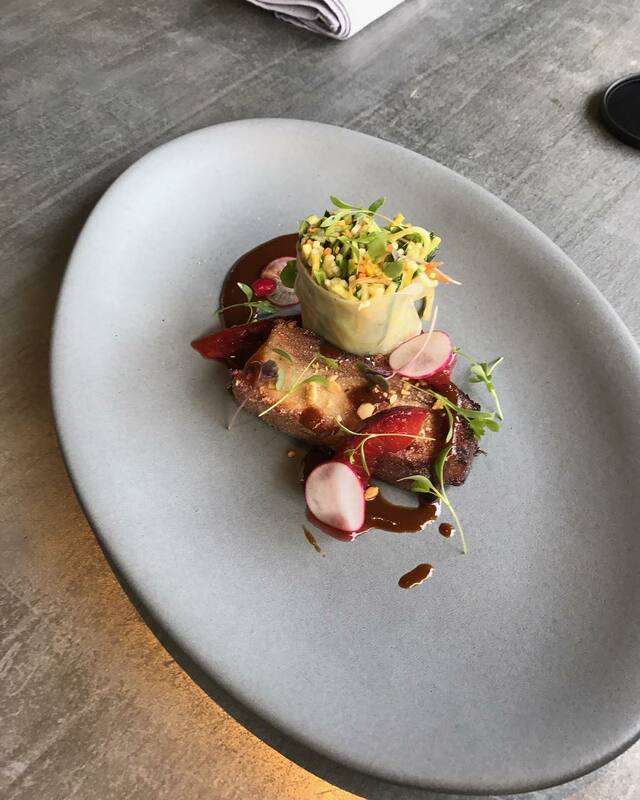 Located in a historic library, this restaurant and Chef Johannes Klapdohr’s creations incorporate flavors and cooking techniques from around the world, and will have your taste buds begging for more. The menu changes seasonally, but every culinary creation explodes with flavor. Canyon Kitchen, is not to be missed, as far as fine dining in Jackson County is concerned. True to its history and agrarian roots, Lonesome Valley’s Canyon Kitchen offers a humble yet extraordinary connection to food, where ingredients are sourced from local and regional farms. Executive Chef Adam Hayes is at the helm of this award-winning restaurant. The diverse prix fixe menu at Canyon Kitchen changes weekly based on seasonal ingredients, but you can expect a rich combination of garden goodness and innovative nouveau-southern tradition. Snag a reservation here from May through October and admire the incredible views of Cow Rock and Laurel Knob at Lonesome Valley, known as the largest box canyon east of the Rockies. Famous for their not only delectable, but equally beautiful cupcakes, brownies and enlarged Pinwheel French Macaroons, Cream and Flutter, located in Cashiers, specializes in tasty treats made from scratch using only the best ingredients. Or, head over to Buck’s Coffee Café for a pick-me-up or homemade sweet treat. There are several ways to work up an appetite in Jackson County, and with this many mouthwatering dining options, you are going to need to take advantage of them. Partake in one of the many unbeatable outdoor adventures offered in the area. Grab a waterfall map from the local Jackson County Chamber & Visitor Center, located at 773 West Main Street in Sylva, or from the Cashiers Area Chamber & Visitor Center, located at 202 Highway 64W, Cashiers, NC 28717 and choose a hike appropriate for your skill level to discover one of the more than two dozen waterfalls in the area. Reference our Outdoor Adventure Itinerary for more outdoor recreation suggestions to enjoy during your visit. There are plenty of places where you can rest your head and belly after a long day of eating, drinking and being merry in Jackson County. Check out our list of local accommodations to find the perfect fit for you. Many offer their own fabulous dining experience right inside the hotel.